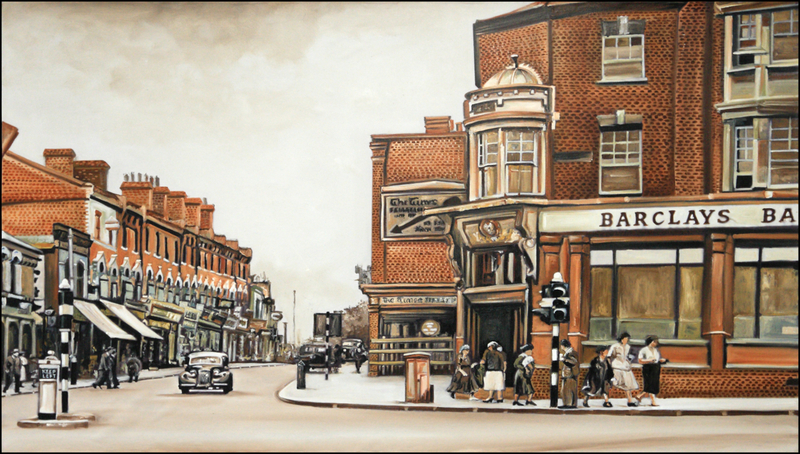 As part of their celebrations to mark 30 years of treating NHS patients, ‘Dentistry for You’, 3 Dartmouth Road, have recently installed a couple of paintings of very familiar-looking scenes in their waiting room. 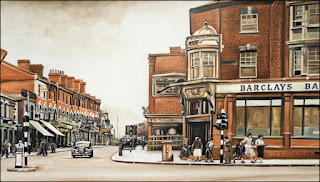 Entitled 'Station and Crossroads, Forest Hill, 1955' and 'Dartmouth Road, Forest Hill, 1955', the scenes (see right) were painted by Kenyan artist Zuber Bakrani, cousin of the practice's owner Esmail Harunani, and based on historical photos. 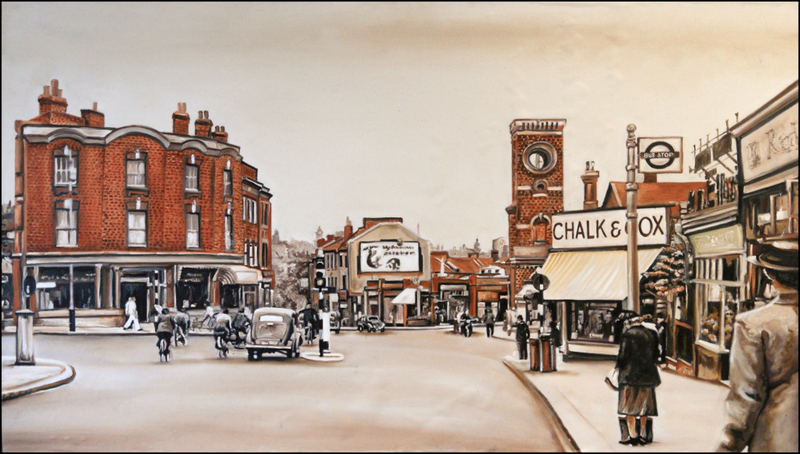 Readers of this newsletter may be familiar with the Station and Crossroads view since it is somewhat similar to an iconic photograph that was featured in our Spring 2015 newsletter — and that is also featured in local historian Steve Grindlay's book ‘Sydenham & Forest Hill Through Time’ — albeit with the roof missing from the station's clock tower.